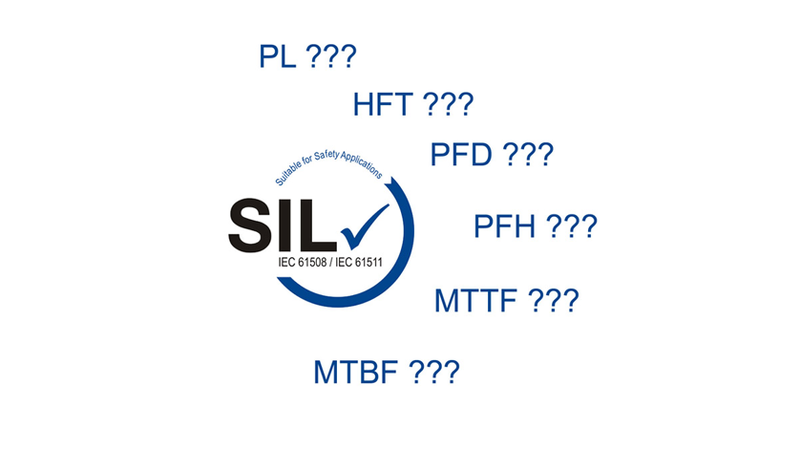 When using pressure sensors and pressure transmitters, our customers often ask for explanations of frequently used terms and abbreviations in connection with “SIL applications”. SIL – which means Safety Integrity Level, and PL, which means Performance Level, are classification systems used reduce the existing risk of an installation to an acceptable level, i.e. a “tolerable risk”. A number of machines and plants according to 2006/42/EC (“Machine guideline”) must be assessed with a SIL ranking or a PL rating according to DIN EN ISO 13849 and IEC 61508. As a general rule of thumb DIN EN ISO 13849 (“PL”) is applied to machines that require the safety function to operate successfully more than once per year. In processes where the safety function is demanded one time in 12 month maximum, usually the plant is assessed according to IEC 61508.